Twitter, Facebook, and other social networks display trending topics, allowing you to quickly see what people are talking about at any given time. Whether a catastrophe has struck, a political scandal has been revealed, or a beloved TV character has met an untimely end, topics receiving the most buzz rise to the top. While trending topics may skew heavily toward pop culture and sports, the occasional opportunity for your business may present itself. If so, using the associated hashtag could give you a great deal of exposure. When a hashtag starts to trend, it means that lots of people are using that hashtag. Not only are people tweeting and posting about that topic, they are also most likely viewing streams that are dedicated to that hashtag. Thus, if you use that same hashtag, a huge audience is likely to see it. Your hashtag will reach beyond your follower base. In order to be effective, the trend should be relevant to your business in some way. For example, if you run an office supply store, tweeting about the latest celebrity gossip won’t likely result in an influx of new followers and customers. On the other hand, if a topic related to saving money or getting organized starts to trend, you probably have a lot to say about the topic and could position your business as a solution. In addition to potentially getting more exposure by hopping on a trending topic, trending topics may also give you ideas for creating fresh, topical content. If you notice a particular topic is hot right now, it may make sense to tie that topic into your next blog post. For example, if everyone is buzzing about the latest NFL draft picks, how could you tie the NFL draft into a business blog? Maybe you could compare and contrast business recruiting with the NFL draft. Currently, Twitter displays its trending topics directly on your dashboard. When you sign into Twitter, you’ll see a short list of trending topics in a box on the left side of the screen. You can change these trends to a specific city or let Twitter “tailor” the trends specifically for you based on your location and who you follow. For example, if you will be attending a trade show in a different city, you might want to change your Twitter trend list to display trends for that city leading up to the event. Keep your eye out for relevant trends and join the conversation. Facebook lists its trending topics on the upper right side of your newsfeed. Like Twitter, you may find a lot of trending topics related to sports or celebrities. However, the occasional business topic may find its way into the list. For example, in the screenshot below, you’ll see that International Nurses Day is trending. You may not have known about this day had it not been for Facebook’s trending topics tool. After seeing it trend, you may be inspired to create a special one-day Facebook promotion for your customers who happen to be nurses. If you’re not in a position to offer a special discount, you can still spread goodwill by wishing nurses a great day or expressing your appreciation for those who choose nursing as profession. 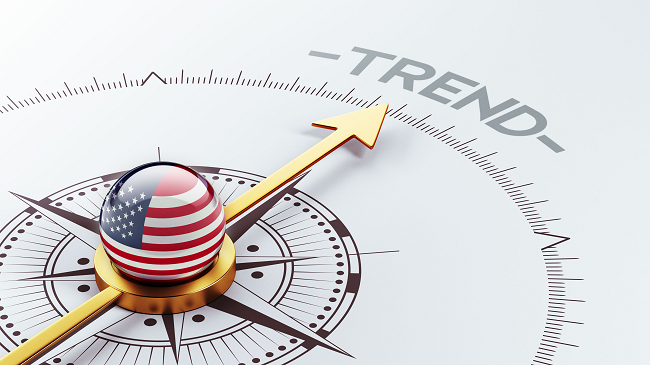 In addition to looking at trending topics on the various social media platforms you use, you could also check out trending topics across multiple platforms all at once by using an aggregation system such as TopTrendingTopicsNow.com or WhatTheTrend.com. The first site lists the latest trending topics by Google, YouTube, Twitter, Yahoo!, and Instagram while the second one is focused only on Twitter. Trending topics provide you with instant insight into what’s on social media users’ mind at any given time. Though you’ll often find irrelevant topics trending, keep an eye on trending topics nonetheless. When you find a topic that makes sense for your business and your followers, jump on board, start using that hashtag, or write a fresh blog post around that topic.